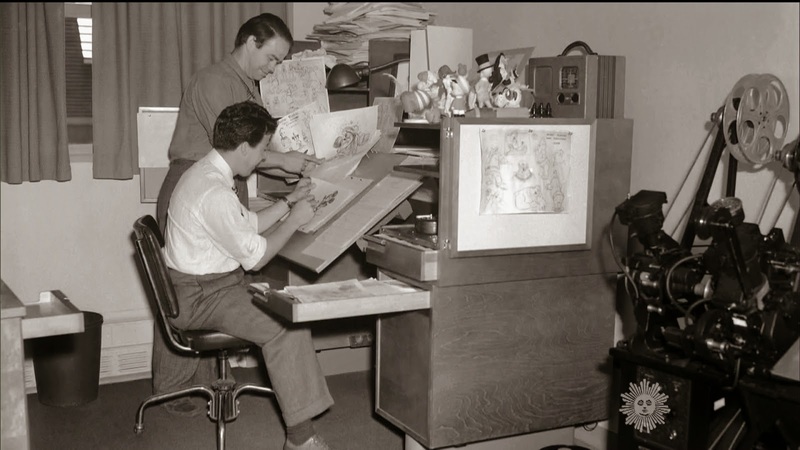 In this rare photo of Ward Kimball and Fred Moore, taken sometime in 1941, Ward is showing Fred some kind of gag drawing. 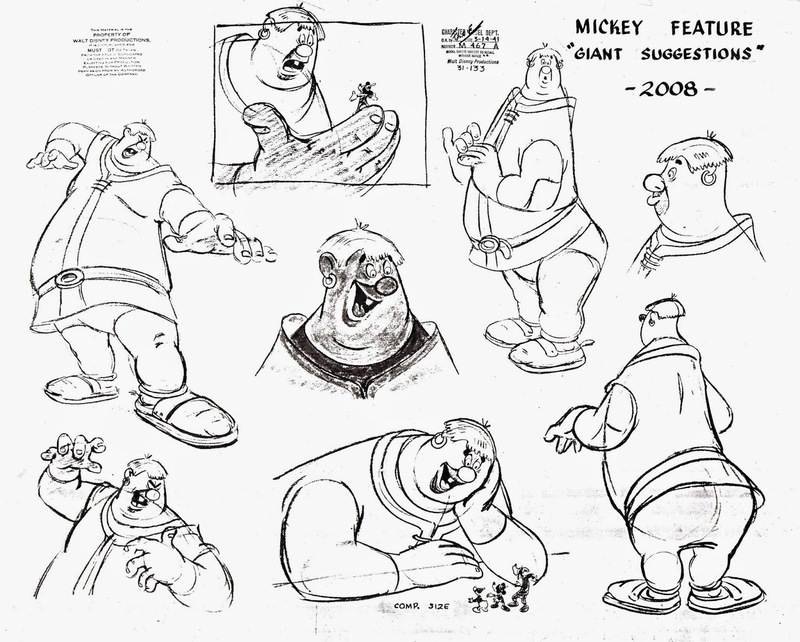 It looks like Moore is working on Mickey and the Beanstalk, which later became part of the film Fun and Fancy Free. 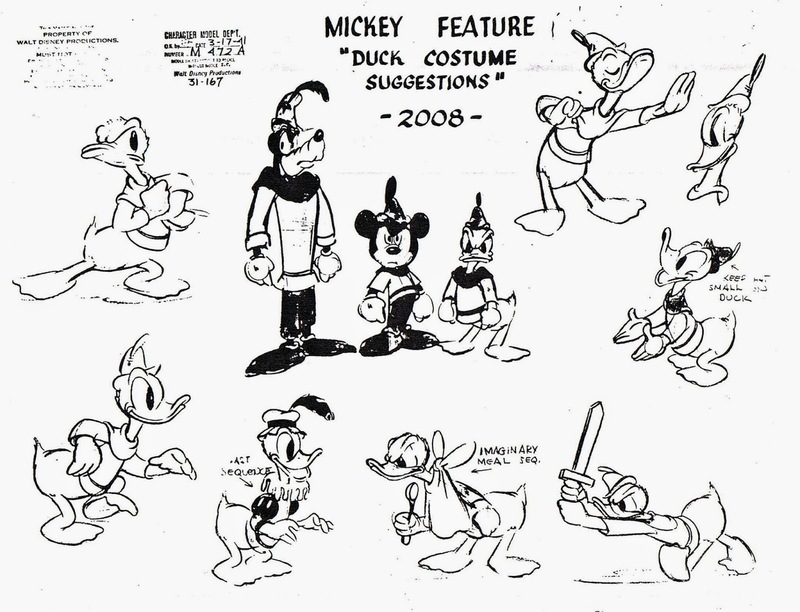 According to the model sheets the project at that time didn’t have a title yet, it was simply called “Mickey Feature”. In the end the film’s running time was only 29 minutes. After many story treatments the crew just wasn’t able to stretch the material into a full length feature. Fun and Fancy Free, which didn’t get released until 1947, also included a featurette called Bongo. Here are the two model sheets from Fred’s desk.